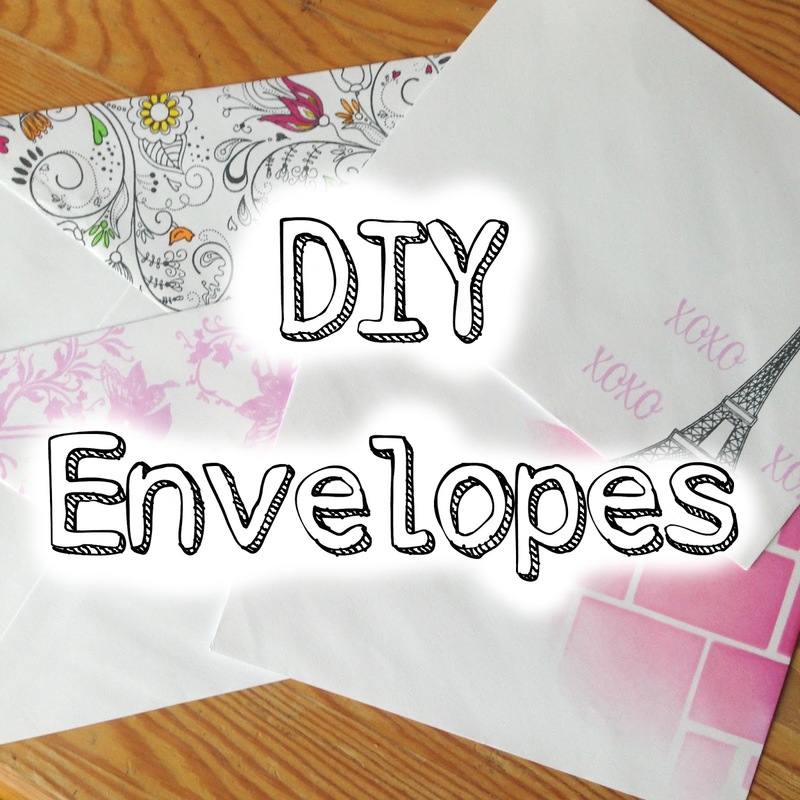 Justine here for another video on decorating envelopes. Today I have four fun and quick and easy ways of decorating envelopes for you to try out featuring four previously made cards. Below is the video tutorial for the envelopes and under each photo is the video tutorial for the card itself. All supplies used can be found below - besides envelopes themselves since everyone has different preferences. 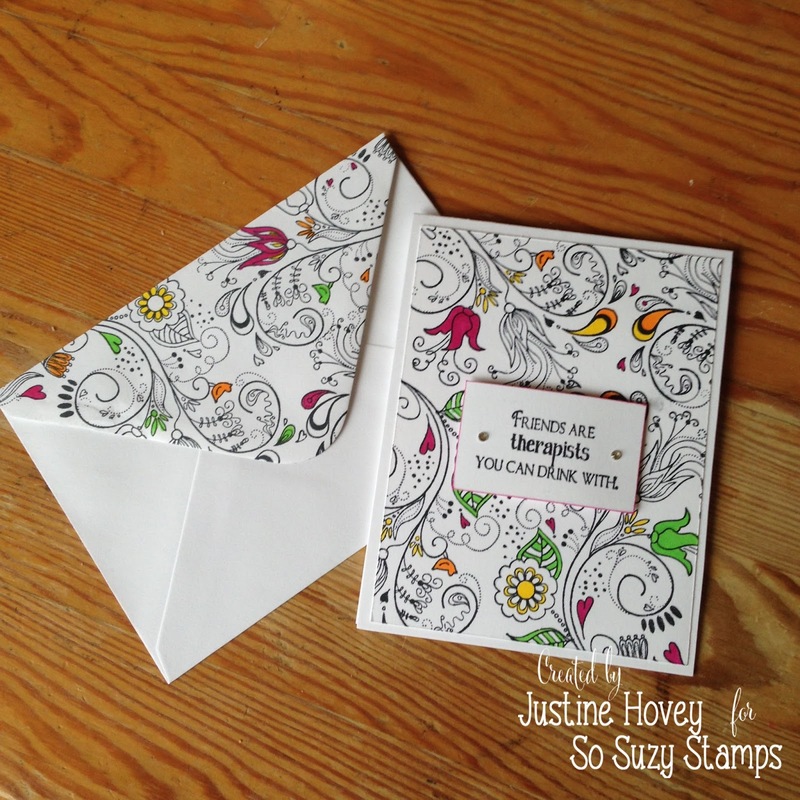 GIVEAWAY: You can win a set of envelopes made by Suzanne from So Suzy Stamps by making an envelope yourself and entering it into an album on the So Suzy Facebook Page! 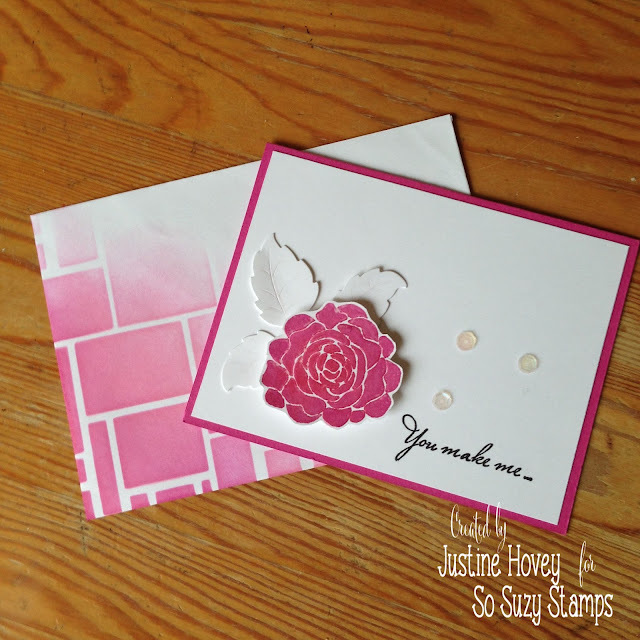 I simply stamped the stamps I used on the card, onto the envelope to create an elegant corner on my envelope. Still plenty of room for an address and postage! Calligraphy would be genius on this envelope when writing the address! 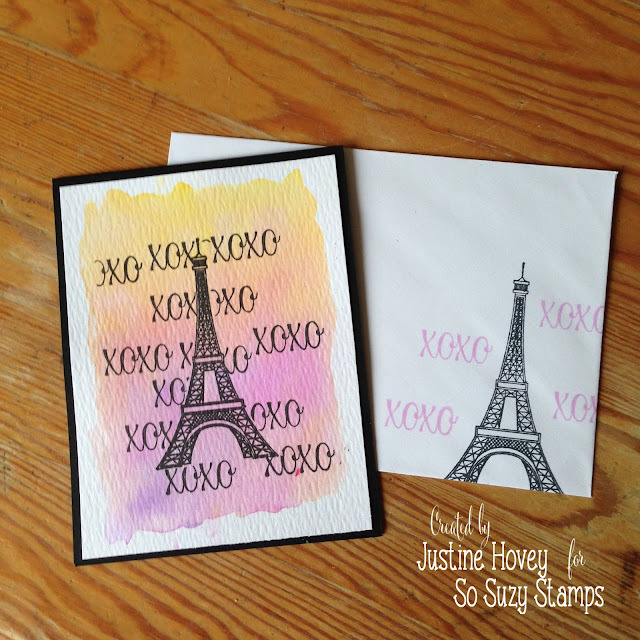 I stencilled using two different shades of pink for this fun envelope! Stencils are quick and easy and the colour combinations that you can do are endless! I incorporated the same background stamping technique on my card to the back panel of the envelope for a fun surprise. This is perfect if you need a lot of stamps or the front of the envelope to full. This is a a fun and shaky technique to use on the card and envelope. I essentially used the same technique as the card above.